Production of the An-132 light multirole transport aircraft is to be launched in Saudi Arabia in 2021, Ukraine’s manufacturer Antonov has announced. Work to build an assembly plant for the type is due to start at a technology park in the Middle Eastern country’s Ta’if City in 2019. The facility is expected to be completed within nine months. In March 2018, a delegation led by Antonov president Oleksandr Kryvokon visited Saudi Arabia to familiarize themselves with the project. The facility will incorporate an international airport, an aircraft building facility complete with an airfield, a solar panel factory, and a solar farm. At the moment, the Ukrainian aircraft manufacturer and Taqnia Aeronautics in cooperation with western experts are working on the feasibility study for the future aircraft plant. 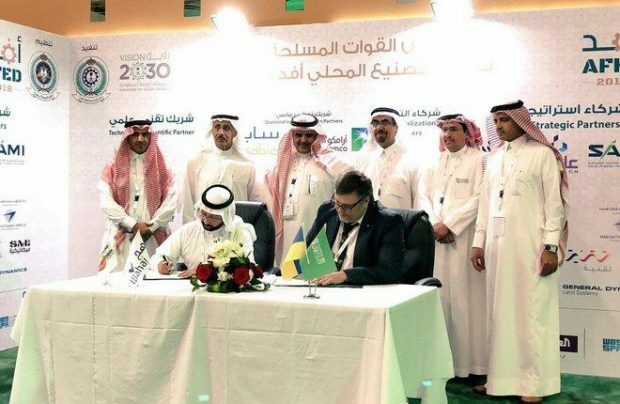 Antonov earlier reported the signing of a memorandum of understanding to manufacture the An−132 with Taqnia Aeronautics Company, which is a subsidiary of Saudi Arabia’s businesss Company for Technological Development and Investment, and also with WAHAJ (an affiliate of Saudi International Petrochemical). The An-132 is being developed by Antonov in collaboration with Saudi Arabia’s King Abdulaziz City for Science and Technology (KACST) and Taqnia Aeronautics, founded on the An-32 baseline and without any Russian-made components. The initial phase of the project called for the aircraft to be produced in Ukraine (the start of the An-132 assembly line was scheduled within two years of the 2015 signing of the relevant agreement). The first 20-ship batch will be assembled at the Antonov factory, with subsequent training of Saudi personnel to follow. The partners will initially produce components and units for the aircraft. The planes are planned to be fitted with Western-made components, including Pratt and Whitney Canada engines, Dowty Propellers, Honeywell’s avionics, a Liebherr’s life support systems, a Hamilton Sundstrand’s Auxiliary Power Unit (APU), Zodiac’s oxygen system and Crouzet cabin management system. Flight tests on the An-132D prototype started in spring 2017.